In a large pot, bring water to a boil. As water is heating up, chop potatoes, leek (make sure it’s properly cleaned), onion, and garlic. Once the water comes to a boil, add chopped vegetables and bring down to medium heat. Let vegetables cook in the water for about 15 minutes or until potato is soft. Remove pot from heat and let cool for another 15 minutes. 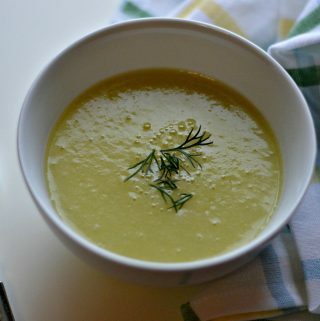 Using an immersion blender, blend vegetables and water to a creamy consistency. Add salt and pepper to taste. Serve in a bowl and garnish with dill. The best thing about homemade soup is that you can control the amount of sodium that’s put into it. 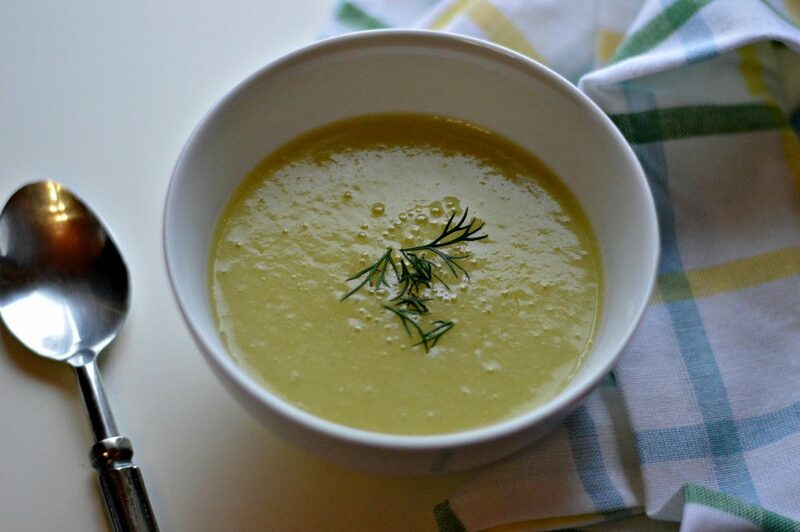 My famous leek and potato soup gets a “thumbs-up” on the healthy scale. Rather than using store-bought chicken broth, I add a little bit of salt and pepper. This allows the soup to show off the flavor profiles of the ingredients it’s comprised of. Lately, for dinner, we’ve been opting for a lot of soup. 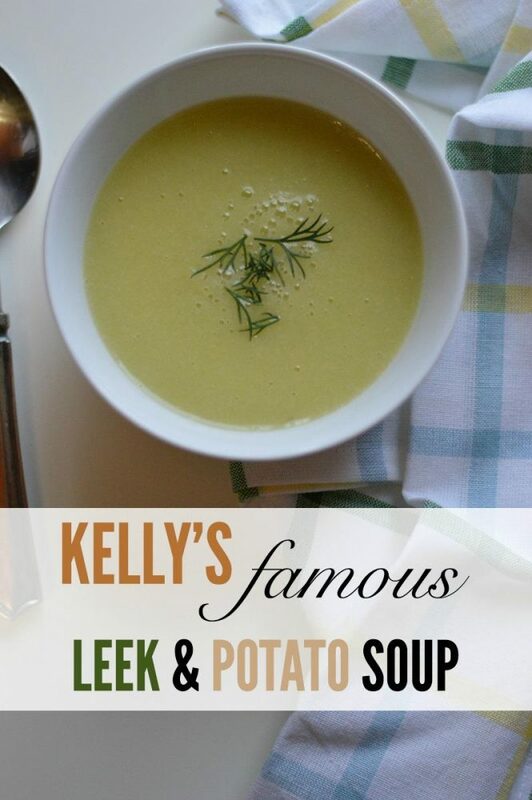 Winter nights can get nippy and sometimes, soup is all we need to stay warm and comfortable especially, my Potato & Leek Soup! What have you been eating for dinner lately? What do you usually pair with soup? Let’s talk about it in the comments below! I really love this Kelly! 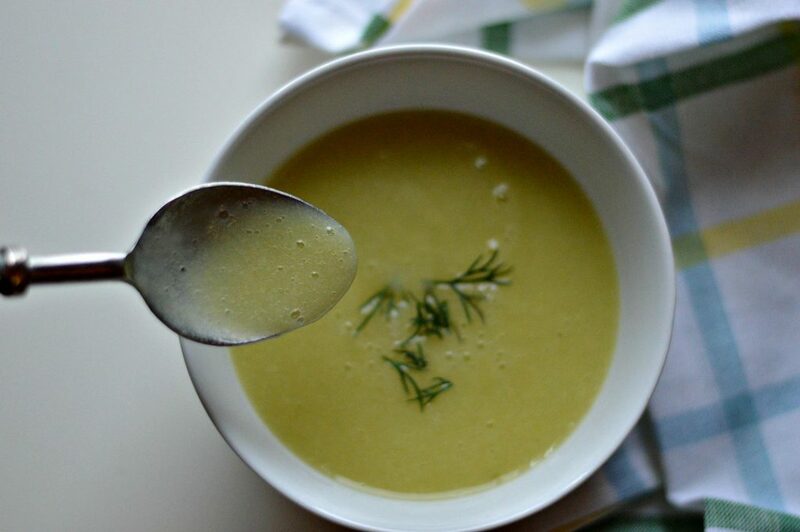 These are great soup today I have found the best alternative soup varieties for my kids.And also this looks like a really nice brew to serve to guests though and looks easy to whip up too.